Compact fluorescent lamps (CFLs) and other mercury-containing lamps are being used in more homes and businesses than ever before. Use of these products benefits consumers through reduced energy consumption and lower utility bills. And they benefit the environment by reducing electricity demand at fossil-fuel burning power plants. However, fluorescent lamps do contain a small amount of mercury – CFLs average less than 4 milligrams of mercury – about the amount that would cover the tip of a ballpoint pen. By comparison, older thermometers contain about 500 milligrams of mercury – an amount equal to the mercury in 125 CFLs. Because these lamps do contain mercury, they should be handled with care. 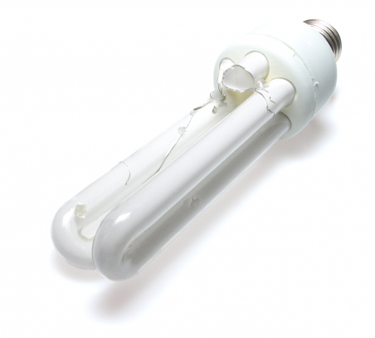 Precautions should be taken to properly handle broken fluorescent lamps. Guidance on proper methods of handling broken fluorescent lamps is available from the US Environmental Protection Agency (EPA) and from many state agencies and local health and environmental authorities. For those concerned about the potential risks from mercury vapor in broken CFLs, an August 2009 article written by scientists at Lawrence Berkeley National Labs states that the risk is “negligible”, posing as much risk as one bite of a tuna sandwich if one takes the common-sense steps to ventilate the area where the lamp is broken and to clean up and remove visible debris to an outdoor area. Manufacturers encourage consumers to use and recycle mercury-containing lamps safely. Carefully recycling CFLs prevents the release of mercury into the environment and allows for the reuse of glass, metals and other materials. The US EPA is continually reviewing its clean-up and disposal recommendations for CFLs to ensure that the Agency presents the most recent and relevant information for consumers and businesses.